Enjoying the great outdoors is fun, but if you are used to urban life the transition can be difficult. While some may want to take certain aspects of their urban existence into the wilderness, like their cell phone or iPad, the fact remains that the right gadgets and gear can help you survive. It can not only mean the difference between life and death on occasion, but it can help save time, which can be vital if your activities need to be completed before sunset. Below is our pick of the most helpful gadgets any backpacker, camper or hiker should invest in. 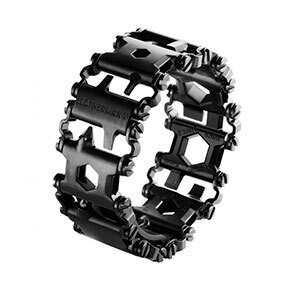 This is a multi-tool,designed to be worn on the wrist so it saves you space and time because you don’t need to go rooting in you pack when you need it. There are a number of different types sold online but always invest in one made from high-quality, corrosion-resistant stainless steel. 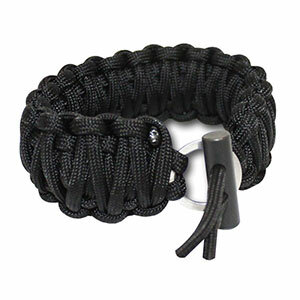 Each link in the bracelet is equipped with 2 tools on average ,which,works out at around 25 usable tools for the entire circumference of the bracelet;Everything from screwdrivers and box wrenches to carbide glass breakers and hex drivers all conveniently to hand. The Pocket Chainsaw is a unique invention by Stunning Gadgets. It will reduce the time it takes to cut pieces of wood by more than 25% compared to a regular saw. While it is a lifesaver outdoors, it can be used for numerous tasks around the home as well. The ultra-efficient cutting action, coupled with durable hardened-steel teeth, make it one of the best tools you can invest it. 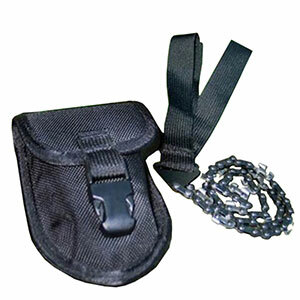 It comes in a tiny carrying pouch that can easily fit into your pocket. Though the Flint and Knife bracelet may seem like a rather strange gadget, because it also doubles as jewelry,what we like is its usefulness. The three-part survival kitconsists of a 2.5 centimeter flint fire starter, a cord and sharp knife with a 2 centimeter blade. An excellent tool with multiple applications. A great accessory to have with you in the winter. 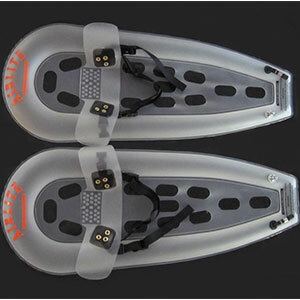 The puncture resistant shoes will help you retain balance in snowy conditions. Though this is not needed for most people who head out into the wilderness in winter, you never know, and they don’t take up much room, so why not pack a pair along? Keeping a cell phone and a GPS device charged is often an overlooked aspect of survival that people only think about after they’ve run out of juice. 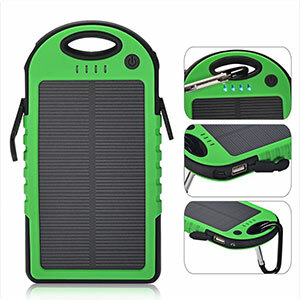 However, Stunning Gadget’s Solar battery charger complete with a built in 5000mAh battery is designed to make sure that all your devices are always charged. The ultra-efficient panels on the device charge the internal battery during the day, while the dual output ports ensure that you can charge two devices at the same time. All you need is to keep the unit in direct sunlight for a few hours to make sure that the internal battery is fully charged. 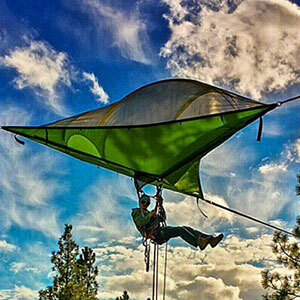 This is certainly a must-have survival gadget regardless of where you’re going. Not the cheapest item, this can easily run into the $1000 range, but you might find it helpful not to have to waste time and energy building a shelter. Plus when the bugs come out to bother you, the hammock can be transformed into a protective tent. This also great for wildlife filming and safaris.There are a number of versions available, but try to buy one which is water-resistant and UV-proof. We all know just how difficult it can be to make your way through the forest when you have hundreds of mosquitoes trying to get a sip of you. 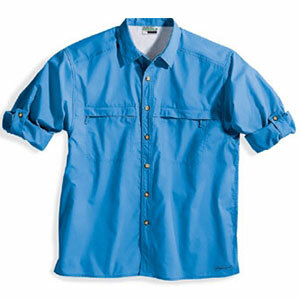 The mosquito-repelling shirt has been designed to save you from constant swatting, scratching and swearing. Made from a special type of cotton and treated with a special EPA-registered repellant which has been proven to drive off flies, ants, ticks, midgets and chiggers, it should last for an average of 50 washes. Although you could use good old bug repellant spray or lotion, this is much more convenient and perhaps even cheaper in the long term. Having the right gadgets and gear when you need them the most is always a wise choice.